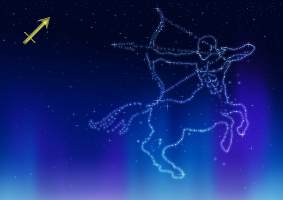 The zodiac sign of Sagittarius is associated with truth, freedom, goals, higher knowledge and liberation. It is the sign of the philosopher, and both the spiritual teacher and the spiritual seeker. Sagittarius is the sign of the ‘archer’ pointing his bow and arrow to the heavens, but this is not your average archer – the archer that represents Sagittarius is also a centaur, half man half horse. This conjures up imagery of hunting, seeking, focusing on a target (bow and arrow) and (perhaps more importantly) of ‘man’ triumphing over his ‘lower’ animal nature (half man, half horse). 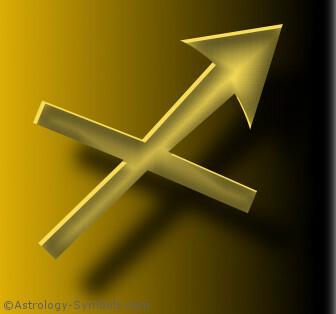 The astrological glyph for Sagittarius is an arrow, but in some depictions it almost appears to be a saltire (an x-shaped or St. Andrew’s cross) with an arrow extending from it’s upper right arm. This is also very similar to the symbolism of the centaur. In astrology a cross is symbolic of matter, while the arrow traditionally is symbolic of a bridge between heaven and earth. So even if we do perceive Sagittarius’ arrow as an ‘x’ with an arrow protruding from it, we arrive at the same idea of setting our goals higher than our physical experience and liberating our spirit from the ‘imprisonment’ of physical matter. The symbolism behind Sagittarius is therefore all about searching, aspiring for something higher, something better, a ‘loftier’ goal. 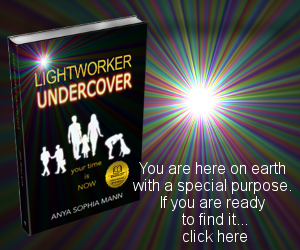 In terms of our spiritual journey the sign of Sagittarius is associated with ‘liberation’. In the Buddhist tradition ‘liberation’ is seen as a stage on the path to enlightenment (but not full enlightenment itself). Liberation being the stage at which we are ‘liberated’ or free from the conditioning of our everyday thinking. But even once we attain liberation there is farther to go until we reach full enlightenment. On an everyday level our Sagittarian friends can be real go-getters: they can see a goal, focus on it, and hold that focus until they arrive. They can be real achievers in every sense of the word. Yet the deeper symbolism inherent in Sagittarius implies that way beyond our ordinary everyday experience we can discover the greater mysteries of life that lie beyond! Sagittarius arrow points the way, inviting each of us to go, go, go beyond… go way beyond… to enlightenment! 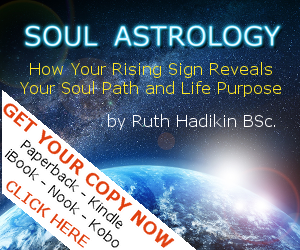 You can learn more about the Soul Path and Purpose of Sagittarius in the video “Sagittarius Rising: The Sagittarius Soul”. from “Esoteric Astrology ” by Alice A. Bailey.